Understanding a candidate's motivation for changing jobs is pivotal to presenting satisfactory job opportunities. Evaluating the merits of each opportunity is extremely important, but learning why a client is dissatisfied with their current position is the most important task of a legal placement consultant. At Legal Staffing Solutions, we listen. 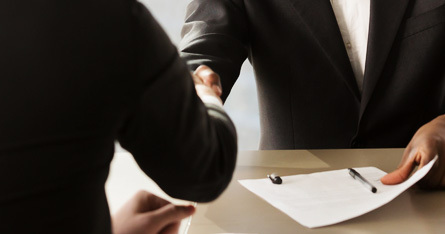 As experienced recruiting professionals, we are understand the standard hiring process. The first question most hiring officials ask is, "Why is this person looking for a new job?" Typically, companies ask this to avoid hiring candidates who are being asked to leave by their current employers. Our highly skilled consultants are able to accurately describe your specific situation, and reasons for assessing a new position. Remember, every resume has a story attached. Who is telling your story?